Try this top-rated chicken recipe. “Dak galibi” (Spicy Grilled Chicken) is one of the number one dishes and restaurants specialising in only this dish are franchised throughout Korea. 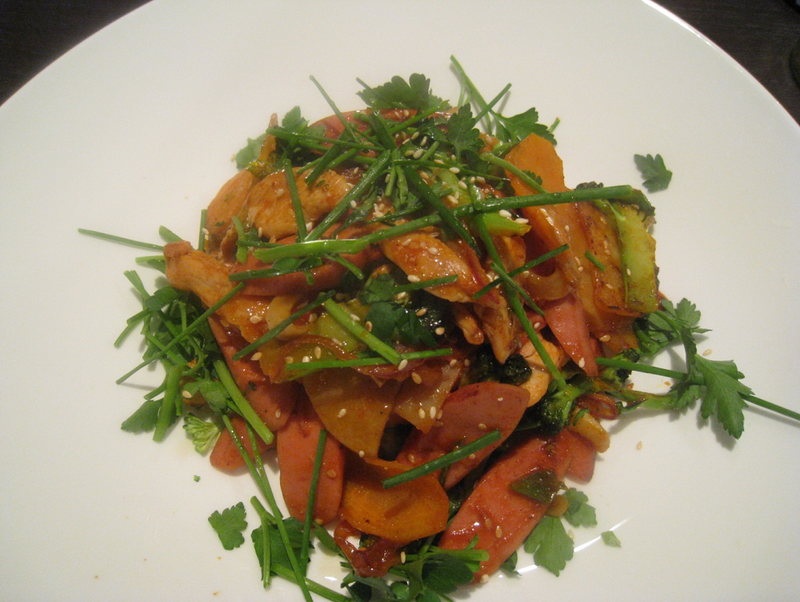 Dak galibi was originally a local specialty in the city of Chunceon, near the capital Seoul. This city holds a major food festival each year called “Chunchon Makkuksu and Dak galbi” with Makkuksu being a type of noodle. In Korean “Dak” means chicken and “galibi” means ribs but as far as I know chickens don’t have ribs as such. In Korea we use all parts of ckicken meat but since I prefer only to use chicken breast this is what is in my dish.